01. The objective of this Standard is to prescribe the accounting policies and procedures in relation to business combinations using the purchase method. The acquirer recognizes identifiable assets and liabilities and contingent liabilities at their fair value on the acquisition date, thereby goodwill is recognized. 02. This Standard should be applied to business combinations using the purchase method. (a) Business combinations in which separate entities or businesses are brought together to form a joint venture. (b) Business combinations involving entities or businesses under common control. (c) Business combinations involving two or more mutual entities. (d) Business combinations in which separate entities or businesses are brought together to form a reporting entity by contract alone without the obtaining of an ownership interest. 04. A business combination is the bringing together of separate entities or businesses into one reporting entity. The result of nearly all business combinations is that one entity, the acquirer, obtains control of one or more other businesses, the acquiree. If an entity obtains control of one or more other entities that are not businesses, the bringing together of those entities is not a business combination. When an entity acquires a group of assets or net assets that does not constitute a business, it shall allocate the cost of the group between the individual identifiable assets and liabilities in the group based on their relative fair values at the date of acquisition. 05. A business combination may be structured in a variety of ways. It may involve the purchase by an entity of the equity of another entity, the purchase of all the net assets of another entity, the assumption of the liabilities of another entity, or the purchase of some of the net assets of another entity that together form one or more businesses. It may be effected by the issue of equity instruments, the transfer of cash, cash equivalents or other assets, or a combination thereof. The transaction may be between the shareholders of the combining entities or between one entity and the shareholders of another entity. It may involve the establishment of a new entity to control the combining entities or net assets transferred, or the restructuring of one or more of the combining entities. 06. A business combination may result in a parent-subsidiary relationship in which the acquirer is the parent and the acquiree a subsidiary of the acquirer. In such circumstances, the acquirer applies this Standard in its consolidated financial statements. The parent includes its interest in the acquiree in any separate financial statements it issues as an investment in a subsidiary (see VAS 25- “Consolidated Financial Statements and Accounting for Investments in Subsidiaries”). 07. A business combination may involve the purchase of the net assets, including any goodwill, of another entity rather than the purchase of the equity of the other entity. Such a combination does not result in a parent-subsidiary relationship. 08. Included within this Standard are business combinations in which one entity obtains control of another entity but for which the date of obtaining control (ie the acquisition date) does not coincide with the date or dates of acquiring an ownership interest (ie the date or dates of exchange). This situation may arise, for example, when an investee enters into share buy-back arrangements with some of its investors and, as a result, control of the investee changes. 09. This Standard does not specify the accounting by venturers for interests in joint ventures (see VAS 08- “Financial Reporting of Interests in Joint Ventures”). 10. A business combination involving entities or businesses under common control is a business combination in which all of the combining entities or businesses are ultimately controlled by the same party or parties both before and after the business combination, and that control is not transitory. 11. A group of individuals shall be regarded as controlling an entity when, as a result of contractual arrangements, they collectively have the power to govern its financial and operating policies so as to obtain benefits from its activities. Therefore, a business combination is outside the scope of this Standard when the same group of individuals has, as a result of contractual arrangements, ultimate collective power to govern the financial and operating policies of each of the combining entities so as to obtain benefits from their activities, and that ultimate collective power is not transitory. 12. An entity can be controlled by an individual, or by a group of individuals acting together under a contractual arrangement, and that individual or group of individuals may not be subject to the financial reporting requirements of VASs. Therefore, it is not necessary for combining entities to be included as part of the same consolidated financial statements for a business combination to be regarded as one involving entities under common control. 13. The extent of minority interests in each of the combining entities before and after the business combination is not relevant to determining whether the combination involves entities under common control. Similarly, the fact that one of the combining entities is a subsidiary that has been excluded from the consolidated financial statements of the group in accordance with VAS 25 “Consolidated Financial Statements and Accounting for Investments in Subsidiaries” is not relevant to determining whether a combination involves entities under common control. Acquisition date: The date on which the acquirer effectively obtains control of the acquiree. Agreement date: The date that a substantive agreement between the combining parties is reached and, in the case of publicly listed entities, announced to the public. In the case of a hostile takeover, the earliest date that a substantive agreement between the combining parties is reached is the date that a sufficient number of the acquiree's owners have accepted the acquirer's offer for the acquirer to obtain control of the acquiree. (b) Lower costs or other economic benefits directly and proportionately to policyholders or participants. A business generally consists of inputs, processes applied to those inputs, and resulting outputs that are, or will be, used to generate revenues. If goodwill is present in a transferred set of activities and assets, the transferred set shall be presumed to be a business. Business combination: The bringing together of separate entities or businesses into one reporting entity. Business combination involving entities or businesses under common control: A business combination in which all of the combining entities or businesses ultimately are controlled by the same party or parties both before and after the combination, and that control is not transitory. Control: The power to govern the financial and operating policies of an entity or business so as to obtain benefits from its activities. Date of exchange: When a business combination is achieved in a single exchange transaction, the date of exchange is the acquisition date. When a business combination involves more than one exchange transaction, for example when it is achieved in stages by successive share purchases, the date of exchange is the date that each individual investment is recognised in the financial statements of the acquirer. Fair value: The amount for which an asset could be exchanged, or a liability settled, between knowledgeable, willing parties in an arm's length transaction. Goodwill: Future economic benefits arising from assets that are not capable of being individually identified and separately recognised. Intangible fixed asset: An identifiable asset which is without physical substance but can be measured and is held for use in the production or business, for rental to others by the enterprise and satisfy the recognition criteria of intangible fixed assets. Joint venture: A contractual arrangement whereby two or more parties undertake an economic activity that is subject to joint control. Minority interest: That portion of the profit or loss and net assets of a subsidiary attributable to equity interests that are not owned, directly or indirectly through subsidiaries, by the parent. Mutual entity: An entity other than an investor-owned entity, such as a mutual insurance company or a mutual cooperative entity, that provides lower costs or other economic benefits directly and proportionately to its policyholders or participants. Parent: An entity that has one or more subsidiaries. Reporting entity: A single entity or a group comprises a parent and all of its subsidiaries which is to present financial statements according to the provisions of law. Subsidiary: An entity that is controlled by another entity (known as the parent). 14. All business combinations shall be accounted for by applying the purchase method. 15. The purchase method views a business combination from the perspective of the combining entity that is identified as the acquirer. The acquirer purchases net assets and recognises the assets acquired and liabilities and contingent liabilities assumed, including those not previously recognised by the acquiree. The measurement of the acquirer's assets and liabilities is not affected by the transaction, nor are any additional assets or liabilities of the acquirer recognised as a result of the transaction, because they are not the subjects of the transaction. (c) Allocating, at the acquisition date, the cost of the business combination to the assets acquired and liabilities and contingent liabilities assumed. 17. An acquirer shall be identified for all business combinations. The acquirer is the combining entity that obtains control of the other combining entities or businesses. 18. Because the purchase method views a business combination from the acquirer's perspective, it assumes that one of the parties to the transaction can be identified as the acquirer. (d) Power to cast the majority of votes at meetings of the board of management or equivalent governing body of the other entity. (c) If the business combination results in the management of one of the combining entities being able to dominate the selection of the management team of the resulting combined entity, the entity whose management is able so to dominate is likely to be the acquirer. 21. In a business combination effected through an exchange of equity interests, the entity that issues the equity interests is normally the acquirer. However, all pertinent facts and circumstances shall be considered to determine which of the combining entities has the power to govern the financial and operating policies of the other entity (or entities) so as to obtain benefits from its (or their) activities. In some business combinations, commonly referred to as reverse acquisitions, the acquirer is the entity whose equity interests have been acquired and the issuing entity is the acquiree. This might be the case when, for example, an entity arranges to have itself ‘acquired' by a smaller public entity as a means of obtaining a stock exchange listing. Although legally the issuing public entity is regarded as the parent and the other entity is regarded as the subsidiary, the legal subsidiary is the acquirer if it has the power to govern the financial and operating policies of the legal parent so as to obtain benefits from its activities. Commonly the acquirer is the larger entity; however, the facts and circumstances surrounding a combination sometimes indicate that a smaller entity acquires a larger entity. Guidance on the accounting for reverse acquisitions is provided in paragraphs A1-A15 of Appendix A. 22. When a new entity is formed to issue equity instruments to effect a business combination, one of the combining entities that existed before the combination shall be identified as the acquirer on the basis of the evidence available. 23. Similarly, when a business combination involves more than two combining entities, one of the combining entities that existed before the combination shall be identified as the acquirer on the basis of the evidence available. Determining the acquirer in such cases shall include a consideration of, amongst other things, which of the combining entities initiated the combination and whether the assets or revenues of one of the combining entities significantly exceed those of the others. 24. The acquirer shall measure the cost of a business combination as the aggregate of the fair values, at the date of exchange, of assets given, liabilities incurred or assumed, and equity instruments issued by the acquirer, in exchange for control of the acquiree plus (+) any costs directly attributable to the business combination. (b) The date of exchange is the date of each exchange transaction (ie the date that each individual investment is recognised in the financial statements of the acquirer), whereas the acquisition date is the date on which the acquirer obtains control of the acquiree. 26. Assets given and liabilities incurred or assumed by the acquirer in exchange for control of the acquiree are required by paragraph 24 to be measured at their fair values at the date of exchange. Therefore, when settlement of all or any part of the cost of a business combination is deferred, the fair value of that deferred component shall be determined by discounting the amounts payable to their present value at the date of exchange, taking into account any premium or discount likely to be incurred in settlement. 27. The published price at the date of exchange of a quoted equity instrument provides the best evidence of the instrument's fair value and shall be used, except in rare circumstances. Other evidence and valuation methods shall be considered when the acquirer can demonstrate that the published price at the date of exchange is an unreliable indicator of fair value, and that the other evidence and valuation methods provide a more reliable measure of the equity instrument's fair value. The published price at the date of exchange is an unreliable indicator only when it has been affected by the thinness of the market. If the published price at the date of exchange is an unreliable indicator or if a published price does not exist for equity instruments issued by the acquirer, the fair value of those instruments could, for example, be estimated by reference to their proportional interest in the fair value of the acquirer or by reference to the proportional interest in the fair value of the acquiree obtained, whichever is the more clearly evident. The fair value at the date of exchange of monetary assets given to equity holders of the acquiree as an alternative to equity instruments may also provide evidence of the total fair value given by the acquirer in exchange for control of the acquiree. In any event, all aspects of the combination, including significant factors influencing the negotiations, shall be considered. Further guidance on determining the fair value of equity instruments is set out in standard on Financial Instruments. 28. The cost of a business combination includes liabilities incurred or assumed by the acquirer in exchange for control of the acquiree. Future losses or other costs expected to be incurred as a result of a combination are not liabilities incurred or assumed by the acquirer in exchange for control of the acquiree, and are not, therefore, included as part of the cost of the combination. 29. The cost of a business combination includes any costs directly attributable to the combination, such as professional fees paid to accountants, legal advisers, valuers and other consultants to effect the combination. General administrative costs and other costs that cannot be directly attributed to the particular combination being accounted for are not included in the cost of the combination: they are recognised as an expense when incurred. 30. The costs of arranging and issuing financial liabilities are an integral part of the liability issue transaction, even when the liabilities are issued to effect a business combination, rather than costs directly attributable to the combination. Therefore, entities shall not include such costs in the cost of a business combination. 31. The costs of issuing equity instruments are an integral part of the equity, even when the equity instruments are issued to effect a business combination, rather than costs directly attributable to the combination. Therefore, entities shall not include such costs in the cost of a business combination. 32. When a business combination agreement provides for an adjustment to the cost of the combination contingent on future events, the acquirer shall include the amount of that adjustment in the cost of the combination at the acquisition date if the adjustment is probable and can be measured reliably. 33. A business combination agreement may allow for adjustments to the cost of the combination that are contingent on one or more future events. The adjustment might, for example, be contingent on a specified level of profit being maintained or achieved in future periods, or on the market price of the instruments issued being maintained. It is usually possible to estimate the amount of any such adjustment at the time of initially accounting for the combination without impairing the reliability of the information, even though some uncertainty exists. If the future events do not occur or the estimate needs to be revised, the cost of the business combination shall be adjusted accordingly. 34. When a business combination agreement provides for such an adjustment, that adjustment is not included in the cost of the combination at the time of initially accounting for the combination if it either is not probable or cannot be measured reliably. If that adjustment subsequently becomes probable and can be measured reliably, the additional consideration shall be treated as an adjustment to the cost of the combination. 35. In some circumstances, the acquirer may be required to make a subsequent payment to the seller as compensation for a reduction in the value of the assets given, equity instruments issued or liabilities incurred or assumed by the acquirer in exchange for control of the acquiree. This is the case, for example, when the acquirer guarantees the market price of equity or debt instruments issued as part of the cost of the business combination and is required to issue additional equity or debt instruments to restore the originally determined cost. In such cases, no increase in the cost of the business combination is recognised. In the case of equity instruments, the fair value of the additional payment is offset by an equal reduction in the value attributed to the instruments initially issued. In the case of debt instruments, the additional payment is regarded as a reduction in the premium or an increase in the discount on the initial issue. 36. The acquirer shall, at the acquisition date, allocate the cost of a business combination by recognising the acquiree's identifiable assets, liabilities and contingent liabilities that satisfy the recognition criteria in paragraph 37 at their fair values at that date, except for non current assets (or disposal groups) that are classified as held for sale, which shall be recognised at fair value less costs to sell. Any difference between the cost of the business combination and the acquirer's interest in the net fair value of the identifiable assets, liabilities and contingent liabilities so recognised shall be accounted for in accordance with paragraphs 50-54. (c) In the case of an intangible fixed asset or a contingent liability, its fair value can be measured reliably. 38. The acquirer's income statement shall incorporate the acquiree's profits and losses after the acquisition date by including the acquiree's income and expenses based on the cost of the business combination to the acquirer. For example, depreciation expense included after the acquisition date in the acquirer's income statement that relates to the acquiree's depreciable assets shall be based on the fair values of those depreciable assets at the acquisition date, ie their cost to the acquirer. 39. Application of the purchase method starts from the acquisition date, which is the date on which the acquirer effectively obtains control of the acquiree. Because control is the power to govern the financial and operating policies of an entity or business so as to obtain benefits from its activities, it is not necessary for a transaction to be closed or finalised at law before the acquirer obtains control. All pertinent facts and circumstances surrounding a business combination shall be considered in assessing when the acquirer has obtained control. 40. Because the acquirer recognises the acquiree's identifiable assets, liabilities and contingent liabilities that satisfy the recognition criteria in paragraph 37 at their fair values at the acquisition date, any minority interest in the acquiree is stated at the minority's proportion of the net fair value of those items. Paragraphs A16 and A17 of Appendix A provide guidance on determining the fair values of the acquiree's identifiable assets, liabilities and contingent liabilities for the purpose of allocating the cost of a business combination. (b) The acquirer, when allocating the cost of the combination, shall not recognise liabilities for future losses or other costs expected to be incurred as a result of the business combination. 42. A payment that an entity is contractually required to make, for example, to its employees or suppliers in the event that it is acquired in a business combination is a present obligation of the entity that is regarded as a contingent liability until it becomes probable that a business combination will take place. The contractual obligation is recognised as a liability by that entity in accordance with VAS 18- “Provisions, Contingent Liabilities and Contingent Assets” when a business combination becomes probable and the liability can be measured reliably, therefore, when the business combination is effected, that liability of the acquiree is recognised by the acquirer as part of allocating the cost of the combination. 43. However, an acquiree's restructuring plan whose execution is conditional upon its being acquired in a business combination is not, immediately before the business combination, a present obligation of the acquiree. Nor is it a contingent liability of the acquiree immediately before the combination because it is not a possible obligation arising from a past event whose existence will be confirmed only by the occurrence or nonoccurrence of one or more uncertain future events not wholly within the control of the acquiree. Therefore, an acquirer shall not recognise a liability for such restructuring plans as part of allocating the cost of the combination. 44. The identifiable assets and liabilities that are recognised in accordance with paragraph 36 include all of the acquiree's assets and liabilities that the acquirer purchases or assumes, including all of its financial assets and financial liabilities. They might also include assets and liabilities not previously recognised in the acquiree's financial statements, eg because they did not qualify for recognition before the acquisition. For example, a tax benefit arising from the acquiree's tax losses that was not recognised by the acquiree before the business combination qualifies for recognition as an identifiable asset in accordance with paragraph 36 if it is probable that the acquirer will have future taxable profits against which the unrecognised tax benefit can be applied. 45. In accordance with paragraph 37, the acquirer recognises separately an intangible asset of the acquiree at the acquisition date only if it meets the definition of an intangible asset in VAS 04 Intangible Fixed Assets and its fair value can be measured reliably. VAS 04 provides guidance on determining whether the fair value of an intangible asset acquired in a business combination can be measured reliably. (b) The acquirer shall disclose the information about that contingent liability required to be disclosed by VAS 18- “Provisions, Contingent Liabilities and Contingent Assets”. Paragraph A16(k) of Appendix A provides guidance on determining the fair value of a contingent liability. 47. After their initial recognition, the acquirer shall measure contingent liabilities that are recognised separately in accordance with paragraph 36. The amount of contingent liabilities would be recognised in accordance with VAS 18- “Provisions, Contingent Liabilities and Contingent Assets”. 48. The requirement in paragraph 47 does not apply to contracts accounted for in accordance with Standard on Financial Instruments. However, loan commitments excluded from the scope of Standard on Financial Instruments that are not commitments to provide loans at below-market interest rates are accounted for as contingent liabilities of the acquiree if, at the acquisition date, it is not probable that an outflow of resources embodying economic benefits will be required to settle the obligation or if the amount of the obligation cannot be measured with sufficient reliability. Such a loan commitment is, in accordance with paragraph 37, recognised separately as part of allocating the cost of a combination only if its fair value can be measured reliably. 49. Contingent liabilities recognised separately as part of allocating the cost of a business combination are excluded from the scope of VAS 18- “Provisions, Contingent Liabilities and Contingent Assets”. However, the acquirer shall disclose for those contingent liabilities the information required to be disclosed by VAS 18 for each class of provision. (b) Initially measure that goodwill at its cost, being the excess of the cost of the business combination over the acquirer's interest in the net fair value of the identifiable assets, liabilities and contingent liabilities recognised in accordance with paragraph 36. 51. Goodwill acquired in a business combination represents a payment made by the acquirer in anticipation of future economic benefits from assets that are not capable of being individually identified and separately recognised. 52. To the extent that the acquiree's identifiable assets, liabilities or contingent liabilities do not satisfy the criteria in paragraph 37 for separate recognition at the acquisition date, there is a resulting effect on the amount recognised as goodwill (or accounted for in accordance with paragraph 55). This is because goodwill is measured as the residual cost of the business combination after recognising the acquiree's identifiable assets, liabilities and contingent liabilities. 53. Goodwill is recognised in expenses (if it is of small value) and otherwise amortised in a uniform manner during its estimated useful life (If it is a big value). The useful life of goodwill should be properly estimated as with the time during which sources embodying economic benefits are recovered by the entity. Such useful life is not beyond 10 years from the date of recognition. The amortisation method represents the manner in which sources embodying economic benefits from goodwill can be recovered. The straight-line method is commonly used unless persuasive evidence exists to support another method seen as more appropriate. It is required that the amortisation method be consistent from one period to another unless there is a change in the manner of recovering sources embodying economic benefits from such goodwill. 54. The time and method of goodwill amortisation is re-assessed as the year ends. Where there is big difference of goodwill's economic life from the initial estimate, the amortization time is necessarily changed. So is the method of amortisation in the case of large variation of the manner of recovering future economic benefits from goodwill. If this is the case, adjustment is necessary of the amortised expense for the current year and thereafter and the fact is disclosed in a note to the financial statements. (b) recognise immediately in profit or loss any excess remaining after that reassessment. (a) Errors in measuring the fair value of either the cost of the combination or the acquiree's identifiable assets, liabilities or contingent liabilities. Possible future costs arising in respect of the acquiree that have not been reflected correctly in the fair value of the acquiree's identifiable assets, liabilities or contingent liabilities are a potential cause of such errors. (b) A requirement in an accounting standard to measure identifiable net assets acquired at an amount that is not fair value, but is treated as though it is fair value for the purpose of allocating the cost of the combination, for example, the guidance in Appendix A on determining the fair values of the acquiree's identifiable assets and liabilities requires the amount assigned to deferred tax assets and liabilities to be undiscounted. 57. A business combination may involve more than one exchange transaction, for example when it occurs in stages by successive share purchases. If so, each exchange transaction shall be treated separately by the acquirer, using the cost of the transaction and fair value information at the date of each exchange transaction, to determine the amount of any goodwill associated with that transaction. This results in a step-by-step comparison of the cost of the individual investments with the acquirer's interest in the fair values of the acquiree's identifiable assets, liabilities and contingent liabilities at each step. (b) The acquiree's identifiable assets, liabilities and contingent liabilities must then be recognised by the acquirer at their fair values at the acquisition date. 59. Before qualifying as a business combination, a transaction may qualify as an investment in an associate and be accounted for in accordance with VAS 07 Accounting for Investments in Associates using the cost method. 60. The initial accounting for a business combination involves identifying and determining the fair values to be assigned to the acquiree's identifiable assets, liabilities and contingent liabilities and the cost of the combination. (i) The carrying amount of an identifiable asset, liability or contingent liability that is recognised or adjusted as a result of completing the initial accounting shall be calculated as if its fair value at the acquisition date had been recognised from that date. (ii) Goodwill or any gain recognised in accordance with paragraph 55 shall be adjusted from the acquisition date by an amount equal to the adjustment to the fair value at the acquisition date of the identifiable asset, liability or contingent liability being recognised or adjusted. (iii) Comparative information presented for the periods before the accounting for the combination is complete shall be presented as if the initial accounting had been completed from the acquisition date. This includes any depreciation, amortisation or other profit or loss effect recognised as a result of completing the initial accounting. 62. 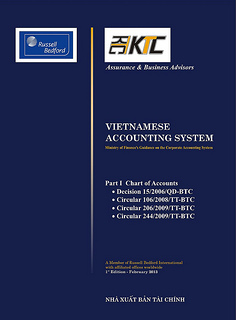 Except as outlined in paragraphs 33, 34 and 64, adjustments to the initial accounting determined provisionally for a business combination after that initial accounting is complete shall be recognised only to correct an error in accordance with VAS 29- “Changes in Accounting Policies, Accounting Estimates and Errors”. Adjustments to the initial accounting for a business combination after that accounting is complete shall not be recognised for the effect of changes in estimates. In accordance with VAS 29 effect of a change in estimates shall be recognised in the current and future periods. 63. VAS 29- “Changes in Accounting Policies, Accounting Estimates and Errors” requires an entity to account for an error correction retrospectively, and to present financial statements as if the error had never occurred by restating the comparative information for the prior period(s) in which the error occurred. Therefore, the carrying amount of an identifiable asset, liability or contingent liability of the acquiree that is recognised or adjusted as a result of an error correction shall be calculated as if its fair value or adjusted fair value at the acquisition date had been recognised from that date. Goodwill or any gain recognised in a prior period in accordance with paragraph 55 shall be adjusted retrospectively by an amount equal to the fair value at the acquisition date (or the adjustment to the fair value at the acquisition date) of the identifiable asset, liability or contingent liability being recognised (or adjusted). (b) Recognise the reduction in the carrying amount of the goodwill as an expense. However, this procedure shall not result in the creation of an excess, nor shall it increase the amount of any gain previously recognised in accordance with paragraph 55. (b) After the balance sheet date but before the financial statements are authorised for issue. (a) The names and descriptions of the combining entities or businesses. (c) The percentage of voting equity instruments acquired. (ii) The fair value of those instruments and the basis for determining that fair value. If a published price does not exist for the instruments at the date of exchange, the significant assumptions used to determine fair value shall be disclosed. If a published price exists at the date of exchange but was not used as the basis for determining the cost of the combination, that fact shall be disclosed together with: the reasons the published price was not used; the method and significant assumptions used to attribute a value to the equity instruments; and the aggregate amount of the difference between the value attributed to, and the published price of, the equity instruments. (e) Details of any operations the entity has decided to dispose of as a result of the combination. (f) The amounts recognised at the acquisition date for each class of the acquiree's assets, liabilities and contingent liabilities, and, unless disclosure would be impracticable, the carrying amounts of each of those classes, determined in accordance with a relevant accounting standard, immediately before the combination. If such disclosure would be impracticable, that fact shall be disclosed, together with an explanation of why this is the case. (g) The amount of any excess recognised in profit or loss in accordance with paragraph 55, and the line item in the income statement in which the excess is recognised. (h) A description of the factors that contributed to a cost that results in the recognition of goodwill - description of each intangible asset that was not recognised separately from goodwill and an explanation of why the intangible asset's fair value could not be measured reliably - or a description of the nature of any excess recognised in profit or loss in accordance with paragraph 55. (i) The amount of the acquiree's profit or loss since the acquisition date in the period. If disclosure would be impracticable, an explanation should be given of why this is the case. 67. The information required to be disclosed by paragraph 66 shall be disclosed in aggregate for business combinations effected during the reporting period that are individually immaterial. 68. If the initial accounting for a business combination that was effected during the period was determined only provisionally as described in paragraph 61, that fact shall also be disclosed together with an explanation of why this is the case. (b) The profit or loss of the combined entity for the period before the acquisition date. If disclosure of this information would be impracticable, that fact shall be disclosed together with an explanation of why this is the case..
70. The acquirer shall disclose the information required by paragraph 66 for each business combination effected after the balance sheet date but before the financial statements are authorised for issue. 71. An acquirer shall disclose information that enables users of its financial statements to evaluate the financial effects of gains, losses, error corrections and other adjustments recognised in the current period that relate to business combinations that were effected in the current or in previous periods. (ii) Is of such size, nature or incidence that disclosure is relevant to an understanding of the combined entity's financial performance. (b) if the initial accounting for a business combination that was effected in the immediately preceding period was determined only provisionally at the end of that period, the amounts and explanations of the adjustments to the provisional values recognised during the current period. (c) the information about error corrections required to be disclosed by VAS 29 Changes in Accounting Policies, Accounting Estimates and Errors for any of the acquiree's identifiable assets, liabilities or contingent liabilities, or changes in the values assigned to those items, that the acquirer recognises during the current period in accordance with paragraphs 62 and 63. (a) The time of amortisation. (b) the method used and the reason for not using the straight-line method where the straight-line method is not used for amortisation. (c) The portion of goodwill charged to expenses in the period. (vi) The total amount which remains unamortized as accumulated at the end of the period. 74. The entity shall disclose such additional information as is necessary to meet the objectives set out in paragraphs 65, 71 and 73. A1. As noted in paragraph 21, in some business combinations, commonly referred to as reverse acquisitions, the acquirer is the entity whose equity interests have been acquired and the issuing entity is the acquiree. This might be the case when, for example, a private entity arranges to have itself ‘acquired' by a smaller public entity as a means of obtaining a stock exchange listing. Although legally the issuing public entity is regarded as the parent and the private entity is regarded as the subsidiary, the legal subsidiary is the acquirer if it has the power to govern the financial and operating policies of the legal parent so as to obtain benefits from its activities. A2. An entity shall apply the guidance in paragraphs A3-A15 when accounting for a reverse acquisition. A3. Reverse acquisition accounting determines the allocation of the cost of the business combination as at the acquisition date and does not apply to transactions after the combination. A4. When equity instruments are issued as part of the cost of the business combination, paragraph 24 requires the cost of the combination to include the fair value of those equity instruments at the date of exchange. Paragraph 27 notes that, in the absence of a reliable published price, the fair value of the equity instruments can be estimated by reference to the fair value of the acquirer or the fair value of the acquiree, whichever is more clearly evident. A5. In a reverse acquisition, the cost of the business combination is deemed to have been incurred by the legal subsidiary (ie the acquirer for accounting purposes) in the form of equity instruments issued to the owners of the legal parent (ie the acquiree for accounting purposes). If the published price of the equity instruments of the legal subsidiary is used to determine the cost of the combination, a calculation shall be made to determine the number of equity instruments the legal subsidiary would have had to issue to provide the same percentage ownership interest of the combined entity to the owners of the legal parent. The fair value of the number of equity instruments so calculated shall be used as the cost of the combination. A6. If the fair value of the equity instruments of the legal subsidiary is not otherwise clearly evident, the total fair value of all the issued equity instruments of the legal parent before the business combination shall be used as the basis for determining the cost of the combination. (a) The assets and liabilities of the legal subsidiary shall be recognised and measured in those consolidated financial statements at their pre-combination carrying amounts. (b) The retained earnings and other equity balances recognised in those consolidated financial statements shall be the retained earnings and other equity balances of the legal subsidiary immediately before the business combination. (c) The amount recognised as issued equity instruments in those consolidated financial statements shall be determined by adding to the issued equity of the legal subsidiary immediately before the business combination the cost of the combination determined as described in paragraphs A4-A6. However, the equity structure appearing in those consolidated financial statements (ie the number and type of equity instruments issued) shall reflect the equity structure of the legal parent, including the equity instruments issued by the legal parent to effect the combination. (d) Comparative information presented in those consolidated financial statements shall be that of the legal subsidiary. A8. Reverse acquisition accounting applies only in the consolidated financial statements. Therefore, in the legal parent's separate financial statements, if any, the investment in the legal subsidiary is accounted for in accordance with the requirements in VAS 25 Consolidated Financial Statements and Accounting for Investments in Subsidiaries. A9. Consolidated financial statements prepared following a reverse acquisition shall reflect the fair values of the assets, liabilities and contingent liabilities of the legal parent (ie the acquiree for accounting purposes). Therefore, the cost of the business combination shall be allocated by measuring the identifiable assets, liabilities and contingent liabilities of the legal parent that satisfy the recognition criteria in paragraph 37 at their fair values at the acquisition date. Any excess of the cost of the combination over the acquirer's interest in the net fair value of those items shall be accounted for in accordance with paragraphs 50-54. Any excess of the acquirer's interest in the net fair value of those items over the cost of the combination shall be accounted for in accordance with paragraph 55. A10. In some reverse acquisitions, some of the owners of the legal subsidiary do not exchange their equity instruments for equity instruments of the legal parent. Although the entity in which those owners hold equity instruments (the legal subsidiary) acquired another entity (the legal parent), those owners shall be treated as a minority interest in the consolidated financial statements prepared after the reverse acquisition. This is because the owners of the legal subsidiary that do not exchange their equity instruments for equity instruments of the legal parent have an interest only in the results and net assets of the legal subsidiary, and not in the results and net assets of the combined entity. Conversely, all of the owners of the legal parent, notwithstanding that the legal parent is regarded as the acquiree, have an interest in the results and net assets of the combined entity. A11. Because the assets and liabilities of the legal subsidiary are recognised and measured in the consolidated financial statements at their pre-combination carrying amounts, the minority interest shall reflect the minority shareholders' proportionate interest in the pre-combination carrying amounts of the legal subsidiary's net assets. A12. As noted in paragraph A7(c), the equity structure appearing in the consolidated financial statements prepared following a reverse acquisition reflects the equity structure of the legal parent, including the equity instruments issued by the legal parent to effect the business combination. (b) The number of ordinary shares outstanding from the acquisition date to the end of that period shall be the actual number of ordinary shares of the legal parent outstanding during that period. A14. The basic earnings per share disclosed for each comparative period before the acquisition date that is presented in the consolidated financial statements following a reverse acquisition shall be calculated by dividing the profit or loss of the legal subsidiary attributable to ordinary shareholders in each of those periods by the number of ordinary shares issued by the legal parent to the owners of the legal subsidiary in the reverse acquisition. A15. The calculations outlined in paragraphs A13 and A14 assume that there were no changes in the number of the legal subsidiary's issued ordinary shares during the comparative periods and during the period from the beginning of the period in which the reverse acquisition occurred to the acquisition date. The calculation of earnings per share shall be appropriately adjusted to take into account the effect of a change in the number of the legal subsidiary's issued ordinary shares during those periods. (a) For financial instruments traded in an active market the acquirer shall use current market values. (b) For financial instruments not traded in an active market the acquirer shall use estimated values that take into consideration features such as price-earnings ratios, dividend yields and expected growth rates of comparable instruments of entities with similar characteristics. (c) For receivables, beneficial contracts and other identifiable assets the acquirer shall use the present values of the amounts to be received, determined at appropriate current interest rates, less allowances for uncollectibility and collection costs, if necessary. However, discounting is not required for short-term receivables, beneficial contracts and other identifiable assets when the difference between the nominal and discounted amounts is not material. (iii) Raw materials the acquirer shall use current replacement costs. (e) For land and buildings the acquirer shall use market values. (f) For plant and equipment the acquirer shall use market values, normally determined by appraisal. If there is no market-based evidence of fair value because of the specialised nature of the item of plant and equipment and the item is rarely sold, except as part of a continuing business, an acquirer may need to estimate fair value using an income or a depreciated replacement cost approach. (ii) If no active market exists, on a basis that reflects the amounts the acquirer would have paid for the assets in arm's length transactions between knowledgeable willing parties, based on the best information available (see VAS 04 for further guidance on determining the fair values of intangible fixed assets acquired in business combinations). (h) For deferred tax assets and liabilities the acquirer shall use the amount of the tax benefit arising from tax losses or the taxes payable in respect of profit or loss in accordance with VAS 17- “Income Taxes”, assessed from the perspective of the combined entity. The deferred tax asset or liability is determined after allowing for the tax effect of restating identifiable assets, liabilities and contingent liabilities to their fair values and is not discounted. (i) For accounts and notes payable, long-term debt, liabilities, accruals and other claims payable the acquirer shall use the present values of amounts to be disbursed in settling the liabilities determined at appropriate current interest rates. However, discounting is not required for short-term liabilities when the difference between the nominal and discounted amounts is not material. (j) For onerous contracts and other identifiable liabilities of the acquiree the acquirer shall use the present values of amounts to be disbursed in settling the obligations determined at appropriate current interest rates. (k) For contingent liabilities of the acquiree the acquirer shall use the amounts that a third party would charge to assume those contingent liabilities. A17. Some of the above guidance requires fair values to be estimated using present value techniques. If the guidance for a particular item does not refer to the use of present value techniques, such techniques may be used in estimating the fair value of that item.